And it can be grown easily! And it has nothing to do with fatty, carb-rich elements. 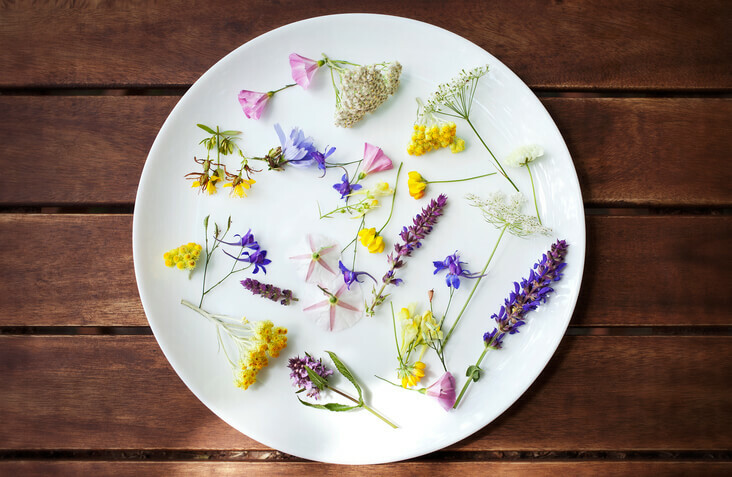 These are the elusive but oh-so pretty edible flowers! From Basil to Chrysanthemum to English Daisy to Geranium to the ever ubiquitous pansies. These consumable flowers are thoroughly pleasing to the eyes and light to eat. Whether it is pot-chicken, your cereal, your toast, or even a smoothie -edible flowers can just instantly pep up your food. And we have the pictures to prove it. 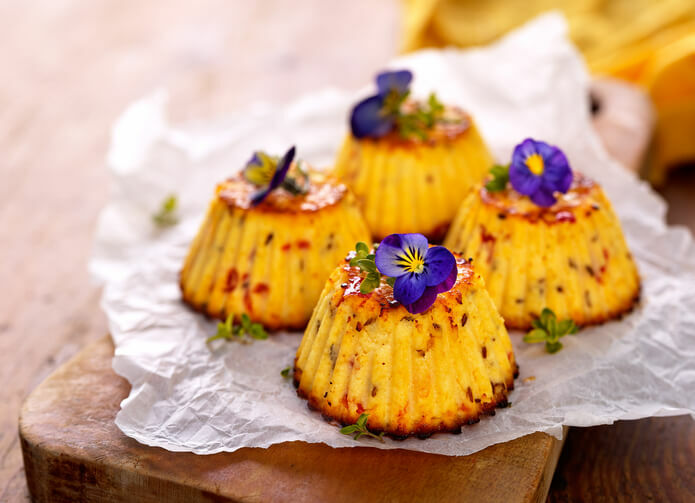 Whether savoury or sweet, muffins are the quickest quick bites that actually do satiate your hunger. Top them up with edible flowers and your go-to breakfast food is quite gourmet. 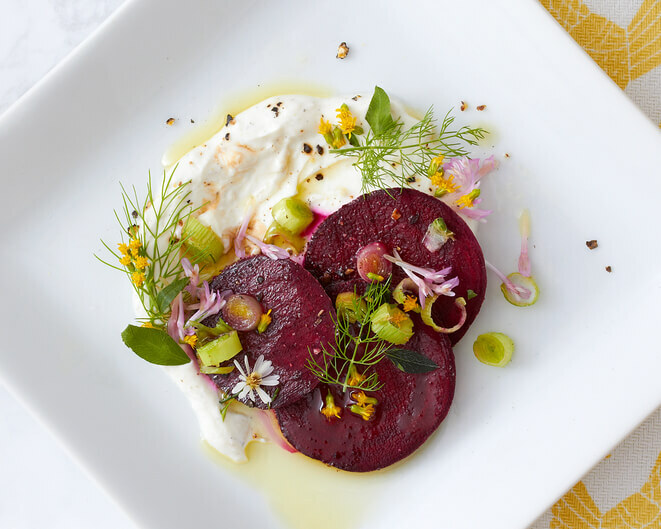 Why wouldn’t you want your purple blush beets to have some sprinkles of daisies that give a contrasting flavour and colour to your dish? 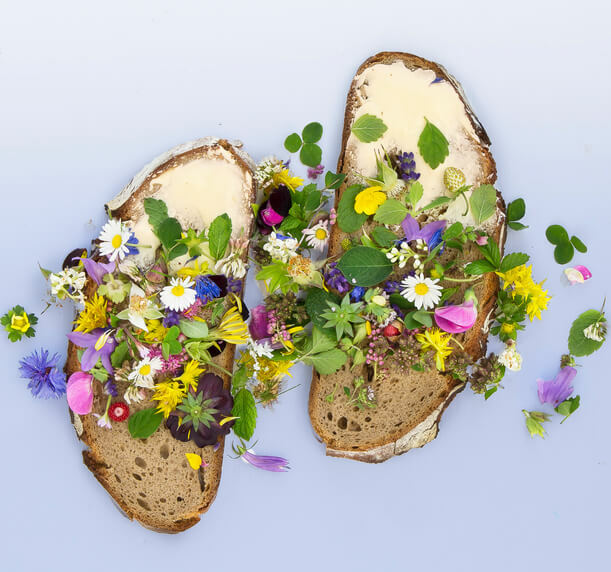 We mean look at your simple butter toast and just amp it up with a plethora of edible floral and make your breakfast magnificent. Unabashedly. 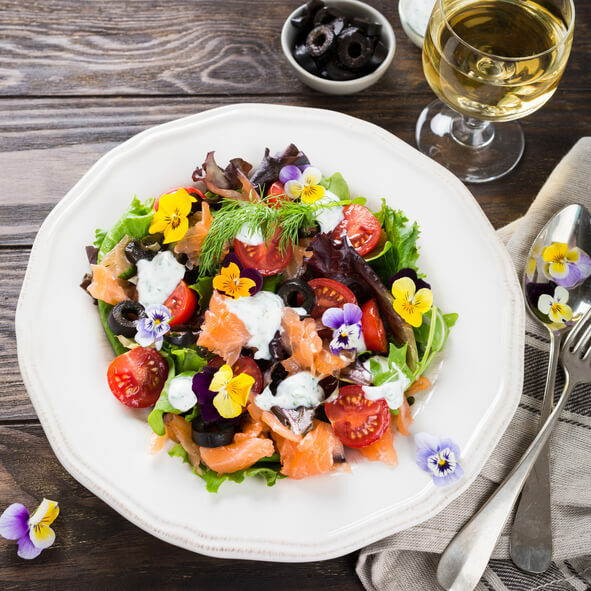 Your fulfilling meal just got more appetising with salmon’s texture matching with lithe slivers of pansies! This is a meal that has the essence of being completely wholesome. Full and beautiful! It doesn’t get any better than this. 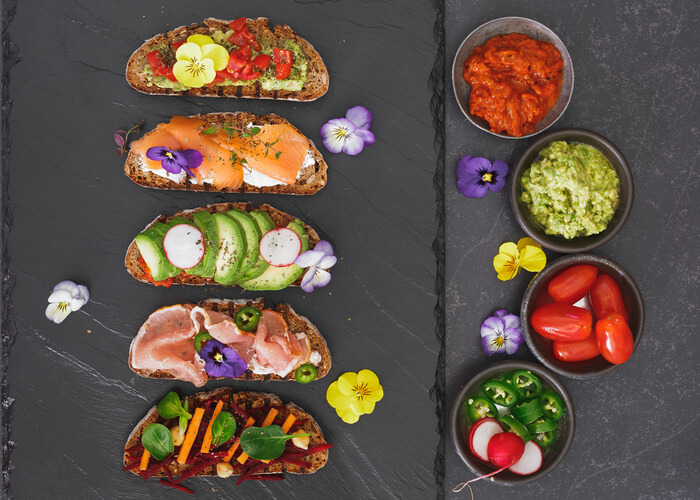 Different breads, different flowers, different condiments – light food, delicious taste, and a whole lotta gorgeous!